Today’s tip for success is focused on helping you overcome this challenging economy. It is taken from my new book, Turn Setbacks Into Greenbacks. This sounds so simplistic, but it is so incredibly impactful. Social scientists have found that changing your focus from yourself to helping others can be beneficial in beating the blues and overcoming depression. By looking at others and finding ways that you can help them, you can see that you are a valuable part of the culture and can become a helpful force of nature. Focusing your attention and energy on others can minimize your issues and help you realize how blessed you are. It’s like the old saying: “I was feeling sorry for myself because I had no shoes until I met a person who had no feet.” If you deflect your attention from your own problems and open your eyes to the situations and circumstances of those around you, you will find an opportunity to help others and, while doing so, help yourself! 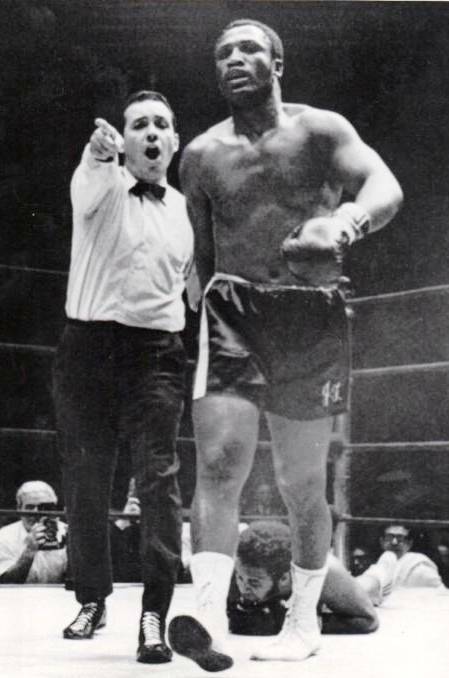 Joe Frazier knocks out Jimmy Ellis on Feb. 16, 1970 to take the heavyweight crown. Feb. 16: Actor LeVar Burton is 53. Rapper-actor Ice-T is 52. 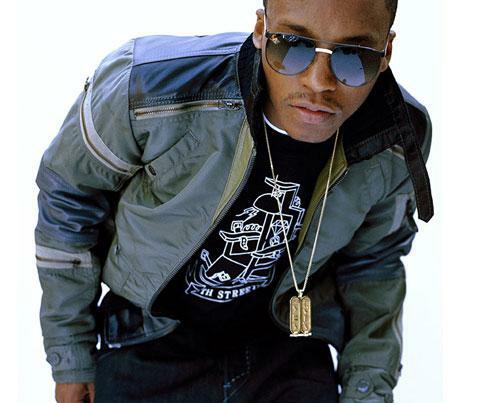 Rapper Lupe Fiasco is 28. Watch rounds 3-5 and post-fight interview with Howard Cosell below. Good Morning World. It is a new day and I will actually make it into work today. The ice appears to have melted. This has been a harsh winter. I am ready for some sun. Everyone have a blessed and productive day. Not only wouldn’t I pay good money, but I’ll put up good money that Paula Deen can’t cook better than either my mother OR my father! Mornign fam! Boot you’re a riot! Good morning family. Pay to see Paula Dean cook? I can watch her on tv for FREE. Awww thanks boot. 😉 Short skirt and heels…. Where my techie folk? What other reason would I need Adobe Flash Player other than to watch videos and sign on to IM? I need a good reason to have them come install it! LOL! Do you have reason to possibly access customer websites or healthcare websites? A lot of them require Flash Player to view their videos. If not, you’re probably SOL. You need it. More and more sites are using Flash for most of their content. Consider the upgrade future-proofing your machine. Hmm, yes I do. So far, it hasn’t hindered any of my work but let me try all my healthcare sites to see what happens. Thanks!!! But, more companies are embedding videos and the like into their sites, so cances are you will run across one that requires it. Its almost becoming a basic right now. Good MOrning. My name is Penelope, and I have been an Eur Free4All poster since 1997. I think I have a problem. Oh wait, my bad….Did you enjoy your birthday?!?!? 😆 U r sooooo silly Let! Yes I had a great bday thanks to so many of you. My people (including my FFA family) are the very bestest in the land. Thanks for asking. hersh, glad you enjoyed your birthday! HK…I really don’t have plans. Everyone keeps saying that I need to have a shindig or whatever but I don’t hear anyone offering any loot. LOL! I figure I would take the money that I would use to feed and entertain EVERYONE ELSE and spend in directly on ME!!! I do know I’m going to get a mani and pedi and I really could use a facial. Of course hair-do and I did buy me a cute purse the other day just need an outfit and shoes to go with it. My emotions change everyday so who knows where I’ll be this time next week. 7 days until the big 4-0! “Given the fragile state of the economy, this is a parlous time to be making uncertain investments,” said the financial advisor. jazz, are you making fun of my made up word? Hey Ya’ll!! *waving hard* HOw is everyone today? OSHKOSH, Wis. — A Menasha attorney has rented a billboard calling for President Barack Obama’s impeachment. It was paid for by Tom Wroblewski. He told The Associated Press on Saturday he would issue a statement in a day or two. WLUK-TV reports that the sign went up Thursday. It will remain up for at least six months, at a cost of $1,000 per month. Jef Hall is the chairman of the Winnebago County Democratic Party. He says having a bad opinion of the president doesn’t mean there’s been an impeachable offense. He says he knows plenty of people who wanted the previous president impeached. I am really sick of these type of people. I’m not saying that everyone will love Prez Obama, nor will everyone love his policies. But this is just taking it too far! Oh where, oh where was the billboard for that crackhead Bush? He should’ve had one alongside every expressway in America! My question to these “Obama haters” is this, what’s the alternative, John McCain & Palin? The Repubs have effed up this country for the past 9 years, and that’s one of the reasons that Obama won! He’s cleaning up Bush’s mess! He has repeated this over & over, this country was a hot & spicy mess PRIOR to Obama taking office…He’s basically playing ‘clean-up’. WTF do they want from him??? GEESH! that’s silly. We aren’t in Alaska , after all. I’m freezing to death in my own livingroom. day. The damn snowplow came by twice. more time, I’m going to stuff her into the microwave. LMAO. I can relate. Uh where can I get some of those little white pills? I woke up and it was snowing AGAIN. Reached for the rusty butter knife but figured someone might miss me. A $12 million family planning program on behalf of the U.S. Agency for International Development launched today to help provide contraceptives to women in Uganda, Ethiopia, Nigeria, Senegal, Tanzania, Kenya, Indonesia and Pakistan. Experts said such a program to encourage contraceptive use among women was only possible after President Obama overturned President Bush’s policy on the matter. Haiti, okay my two cents and my opinion. There are billions of dollars thrown to that country, with free doctors and services. If the powers that be cannot control all that is being given to them, that is their fault. Ray Nagin and New Orleans was a example of that. That is what leadership is about. I think the issue with Haiti, however, is a bit more complicated. I do agree with you that leadership does have to share some accountability here. Rather than use the earthquake as an opportunity for blame, I think Haiti leadership and people of color representing the diaspora ought to be using Haiti as a “Ground Zero” to mobilize our resources to rebuild Haiti into what it should have been YEARS ago. A nation of Black people located in the Caribbean should be a place where people want to live, vacation, and travel to … not escape from. Just saying. HUNTSVILLE, Ala. (AP) — A professor who survived a deadly university shooting rampage said the colleague charged in the attack methodically shot her victims in the head until the gun apparently jammed and she was pushed out of the room. Associate professor Joseph Ng told The Associated Press on Tuesday he was one of 12 people at a biology department meeting Friday at the University of Alabama-Huntsville. He described the details in an e-mail to a colleague at the University of California-Irvine. Bishop, a Harvard-educated neurobiologist, was arrested and charged with one count of capital murder and three counts of attempted murder. It’s not the first time Bishop has been accused in a killing. In 1986, she killed her 18-year-old brother with a shotgun at their suburban Boston home. She told police she had been trying to learn how to use the gun, which her father had bought for protection, when it accidentally discharged. The killing was ruled an accident, but John Polio, who headed the Braintree, Mass., police department at the time, now has questions about the investigation. Polio, 87, at first defended the handling of the case. But he said Tuesday he has “myriad” concerns about a report on it, which he saw for the first time over the weekend. Polio said the district attorney’s office was not obligated to provide him with the reports, but as a common courtesy, he usually received them. He did not in Bishop’s case. “When I first read them, from a police standpoint and a professional standpoint, I would have wanted a lot more questions answered,” he said. This tramp is truly CRAZY and what trips me out is that she has been allowed to “snap” and kill or almost kill people for decades now without being punished. I mean, really, if you read the facts on how her brother was killed, there was NO WAY they should have deemed that an accident and HOW was she getting all of these jobs as a pipe bomb suspect. It seems like when she gets mad, she likes to kill. They said she sent the pipe bomb to the person who was going to do her performance evaluation at Boston Children’s Hospital b/c she thought he would give her a poor evaluation. WTF???? Now 3 innocent people are dead b/c this nutcase has been allowed to run free all of this time – a time bomb ticking waiting to go off at any time….. There is a movie coming out this weekend called “Blood Done Sign My Name”. My cousin “QuietGuy” is an extra in the crowd scene on the state capital steps. The movie is based in Oxford, North Carolina in 1970 and it’s about a young Dr. Benjamin Chavis who leads a protest about a black man that was murdered. Check it out if you get the chance. GHank, I read the book. It’s going to be a great movie. Hope I get a chance to see it soon. Chavis is a very interesting person. Interviewed him for some research on another activist undertaking of his prior to this incident. I thought he changed his name, lol. But yes, Dr. Chavis is rather interesting. I will check out the movie, sadly there are so many stories like that, black men and women being murdered by police. Being from Chicago reading about Fred Hampton and the Black Panthers still give me chills. So here’s how things are going to go this week and next. The SHUTTER ISLAND screening this Thursday is full, and because my birthday is this Friday, I’ve decided to keep most of my evenings open this week to accommodate various friends who want to get together. But next week (the week of Feb. 22), I’m kicking things into overdrive for the readership in and around Chicago. My original goal was four screenings in four days–as in one screening each weeknight, and that almost happened until one of the screenings had to shift to the same night as another. But the most unfathomable part of next week isn’t the number of screenings–it’s the number of guests that are accompanying said screenings. One night, we’ve got a beautiful and talented actress that I’ve been a fan of for years; another night we’ve got a trio of very funny young gents who should be a blast to have along for the ride; and still another night, we’ve got…well, one of the coolest cats we’ve ever had as a guest, period. Let’s start off the week with his movie. I’ve got 50 VIP seats for Chicago-area Ain’t It Cool News readers for a screening of director Antoine (TRAINING DAY) Fuqua’s latest police drama, BROOKLYN’S FINEST, starring Richard Gere, Ethan Hawke, Don Cheadle–and our very special guest, who will be doing a post-screening Q&A, Wesley Snipes. The screening will take place on Monday, February 22, 2010, at 6:30pm (please note the slightly earlier start time) at a theater in downtown Chicago (the exact location will only be given to contest winners). When I interviewed Ethan Hawke recently about DAYBREAKERS, we spent a significant portion of that talk geeking out over Snipes in BROOKLYN’S FINEST. Going back to his essential works in MAJOR LEAGUE, KING OF NEW YORK, NEW JACK CITY, JUNGLE FEVER, TO WONG FOO, WHITE MEN CAN’T JUMP, PASSENGER 57, and of course, three BLADE movies, Snipes is one of the true bad-asses of modern cinema, not to mention a tremendous actor. I, for one, cannot wait to meet the man in person. But this isn’t about me; it’s about you coming to see BROOKLYN’S FINEST and getting a chance at asking Snipes a question. In fact, I’m going to make sure you’re ready to do just that in order to get a shot a coming to this movie. Here’s how to secure a pass good for you and one guest: Send me an email at therealcapone@aintitcoolmail.com with the subject line “BROOKLYN’S FINEST CONTEST” In the body of the email, I need your Name, whether or not you’re bringing a Guest (guests’ names are not required), and the answer to the following question (read carefully): “If you had a chance to ask Wesley Snipes a question at this Q&A, what would it be?” Keep your responses BRIEF–limit your answers to 50 words or less (no matter how tempted you are to go over the limit). People with the best questions win. Basically, I want to know that I’ll have at least a handful of solid questions in the audience that night. Winners will receive an email from me later this week. What would you do after nursing the wrong child? First-time mom Jennifer Spiegel breast-fed the wrong newborn a day after giving birth. Now she’s suing Evanston Hospital for the alleged mix-up and seeking at least $30,000 in damages, Lisa Donovan reported in the Chicago Sun-Times. Switching babies is serious business; the Spiegels feel the hospital should be held responsible. While no one was hurt or sickened and it’s unlikely to affect the mother-baby bond, Spiegel “didn’t sign up to feed another woman’s child, the lawsuit says,” Donovan reported. Apparently, the patient-care technician offered a tearful apology, said Jennifer’s husband, Scott, an attorney who is handling the lawsuit. “But it’s not enough,” he added.